Questions of Inheritance, Inhabitance, and Environment in "All Coyote’s Children"
In her first full-length work of fiction titled All Coyote’s Children, Bette Lynch Husted explores some of the questions that have plagued her all her life about living in America and the implications of being an American non-Native inhabiting this land. Through lyrical prose, Husted crafts a story that considers the complex life of a white family living on a ranch surrounded by the Umatilla Indian Reservation. She weaves an unforgettable tale of cultures and families caught in the inescapable web of who they are and what they have inherited. Today, Husted shares how she has grappled with these issues through writing and considers some of the events and environments that resulted in this remarkable novel. “We’re not just joining two people here today,” the Umatilla spiritual leader said. “We’re joining two families.” My son, wearing a ribbon shirt and moccasins, looked as happy as I’ve ever seen him; the bead and shell wedding veil he was lifting from his bride’s head was one he had made especially for her. His own heritage is mainly Celtic and Northern European; the bride, who is Umatilla-Cayuse and Apache, was a former student and my own longtime friend. Could it be this easy? Was this the answer to the troubling questions about America I had been asking all my life? Well, no. (For one thing, there are issues of blood quantum and tribal survival.) But it did make me happy, and thinking about what that spiritual leader said is part of what led to a novel set on the Umatilla Indian Reservation. 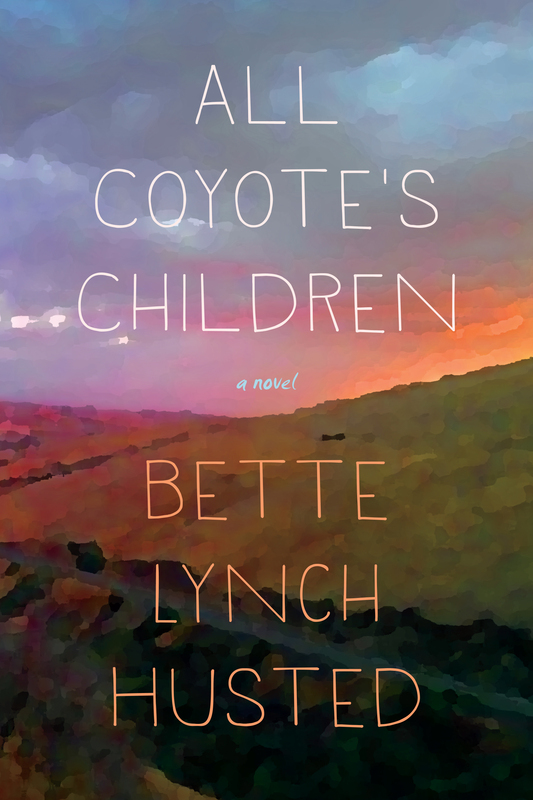 For years I had been grappling with my questions in memoir—my first book was subtitled Living on Stolen Land—but All Coyote’s Children is my first sustained work of fiction. I wrote much of it in the community room of a public library surrounded by homeless people trying to stay warm and Natives seeking Internet access. There were students, too, job-seekers, readers, people researching genealogy. And one man who, we would all learn later, had murdered a young woman as she worked in the motel across the street. A library is a good place to think about your neighbors. I wanted to write a story about a white family who recognizes the complex inheritance of their history. Could they live with integrity on land taken from its inhabitants? Almost all of the continent fits this description, but I imagined this family’s home on a ranch surrounded by the Umatilla Indian Reservation—a situation that happens more than people might realize; maps of reservations are often checkerboarded with privately owned land. I knew there would be challenges. Most of us struggle to talk about race. What if we say the wrong thing? And there’s the issue of appropriation: Native people are understandably weary of non-Natives speaking for them or even about them. 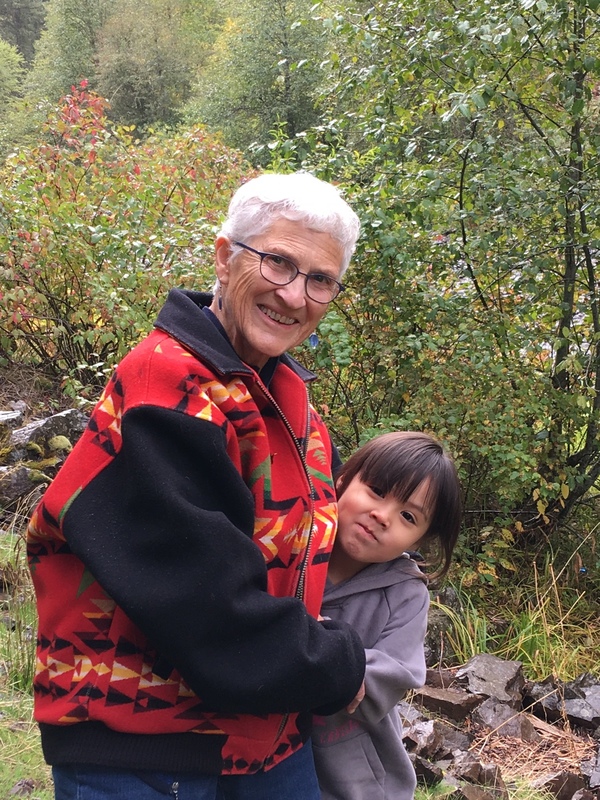 But inspired by that spiritual leader and the neighbors of my Eastern Oregon community—and with help from Natives and non-Natives alike—I found this story. The bride at that wedding, my beautiful daughter-in-law, took the photo that inspired the cover of All Coyote’s Children. The view is one she sees every day from her family home at top of Thorn Hollow grade, where she and my son were married. The little girl in the author photo is my extended-family granddaughter, a gift even greater than writing fiction. Which is saying a lot, because writing a novel—meeting the people who live in this story—may be the closest I will ever come to experiencing magic.